Charging rate on this board? states 1 amp. with my usb meter i've only seen .82 amps. Is it possible, that it is 1 Amp on the battery side. 1 Amp on the battery side. never bothered to figure the math. figured it was the cheap usb meter i bought off ebay. thanks spiro! help me out here....... so when i figure for my VS dna 200 that has a 2 amp charge rate..... so 12.6v x 2a = 25.2w, 25.2w /5.0v = 5.04 amps usb? usb meter is only reading between 2.00 - 2.14 amps when the shark is charging. am i doing the math wrong? Now you having me scratching my head. My Vaporshark is drawing 2 amps on the usb side. Maybe I was wrong on the first statement. I haven't had a chance to build my dna75 yet, to test it. i'm going to open up my homemade vt75 and test the current going to the battery with my klein mutli meter and get this figured out. will post back. edit......the multi meter inline with the battery-to-board circuit confuses the board/charger. i could not get the usb current above .17 amps. at .17 amps i was at about 0.163 amps on the battery side/MM side (if the numbers are even accurate). oh well, i'm not complaining. this 3000 mah charges decently fast with the on board charger. 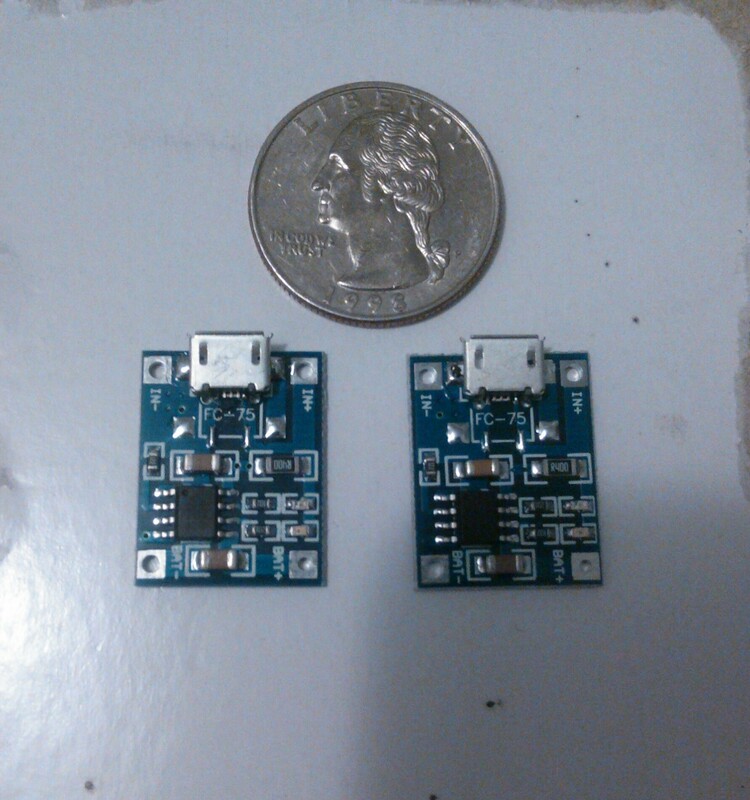 although, i do have some tiny 1 amp micro usb lithium battery charging board. there's room inside for them. maybe i'll put them inside somewhere. you can stack these charging boards (parallel the outputs) to double the charge rate from 1 to 2 amps. That all correct the Shark DNA 200 does charge at 2 A from the USB, the 75 doesn't need an amp from the USB to provide an amp to the battery. I can see it is confusing in that the specified charge current applies to the UDB for DNA 200s and to the battery side on DNA 75, I assume it is so as I clock mine at around 0.8 A on a metre which is consistent with 1 A charging on the battery side.